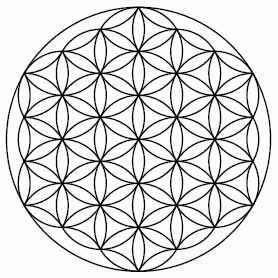 Sacred Geometry is Used by our Creator as Godsign™ to you because EVERYTHING IN OUR UNIVERSE IS MADE UP OF SACRED GEOMETRY. Our galaxy, your body, sea shells, sunflowers, butterfly wings are a tiny fraction of what is created in Life from Sacred Geometry. The beginnings of all life start with geometric equations because God IS IN THE MATH! 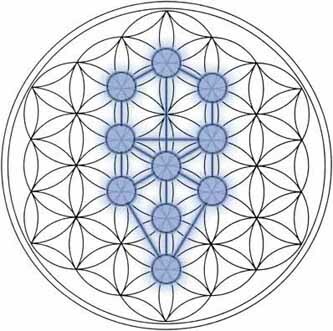 Sacred geometry can be seen in a complex system of religious symbols and structures involving space, time and form. From this view the basic patterns of existence are perceived as sacred. By watching for and studying the nature of these patterns, forms and relationships and their connections, insight may be gained into the mysteries – the laws and lore of the Universe. Sacred geometry involves sacred universal patterns used in the design of everything in our reality, most often seen in sacred architecture and sacred art. Geometry and mathematical ratios, harmonics and proportion are also found in music, light, cosmology. Using Sacred Geometry was and still is considered foundational to building sacred structures such as temples, mosques, megaliths, monuments and churches; sacred spaces such as altars. It is found in the shaping of sacred groves, village greens as well as religious art, iconography and using “divine” proportions. These displays of mathematical and geometric constants are confirmation that certain proportions are woven into the very fabric of nature. Recognizing the significance of this simple fact offers us the means to understand how and why such matters were considered sacred. They and everything around us, are the product of the delicate balance between chaos and order. The word ‘geometry’ can be traced through its component parts: the word ‘Geo-metry‘ comes from the Greek words Geos meaning ‘Earth’ and Metron meaning ‘To measure‘, which together literally translate as the ‘Measuring of the earth’ or ‘Earthly measurements’. This understanding and teaching art was traditionally restricted to the priests, holy men and holy women. The builders of the megaliths all over the world left clear geometric fingerprints in their greatest constructions. The Greeks may well have been the first to have offered geometry to the public at large, but they were far from the first to Use it. God will Use sacred shapes, sacred geometry around YOU to show you the Way. Or to let you know Creator has the Sacred Blueprints to succeed in getting you where you are hoping to go. 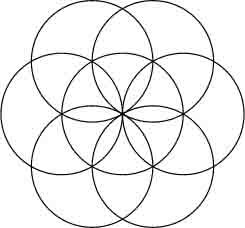 You just need to follow that path of Sacred Geometry to see your Godsign messages, answers and solutions.